Estates Law in Pekin, IL | Contact Brace Law Center, P.C. The right estate planning attorney can help make trusts and estates law simple. The estate planning attorneys at Brave Law Center, P.C. will help you prepare trust agreements, wills, powers of attorney, and more. Our team will prepare a smooth transfer of your assets to spouses, children, charities, or whomever your beneficiaries are. When it comes to estates law in Pekin, IL, you can trust the attorneys at Brave Law Center, P.C. If you have an estate that you want to be transferred to a beneficiary during your life or after death, then you do need an estate plan. If you do not have an estate plan, the intestacy laws of the state where you lived and owned real estate will determine who inherits your property. A Last Will and Testament is the basic legal document you need because it will contain instructions on how you want your estate to be distributed. Depending on your goals and objectives, there could be other necessary documents that an attorney can help you prepare. And any other legal help you need! There are both financial and emotional advantages to trusting Brave Law Center with your estate planning. From lessening fees and taxes to providing peace of mind to your loved ones that they followed your last wishes, we are here to help. In conclusion, if you would like to learn more about estates law in Pekin, IL or the surrounding area, contact Brave Law Center, P.C. 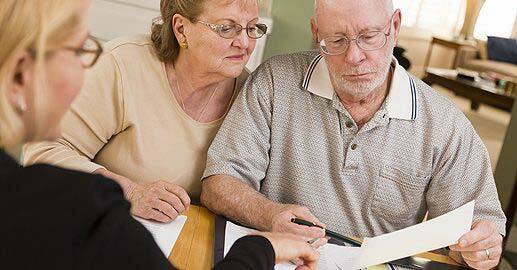 Create the perfect will or trust with the help of a knowledgeable and experienced estate planning attorney. Looking for Help with Estates Law in Pekin, IL?